It was really simple I just mounted a photo of each child on some card stock and laminated it then laminated each of their names. 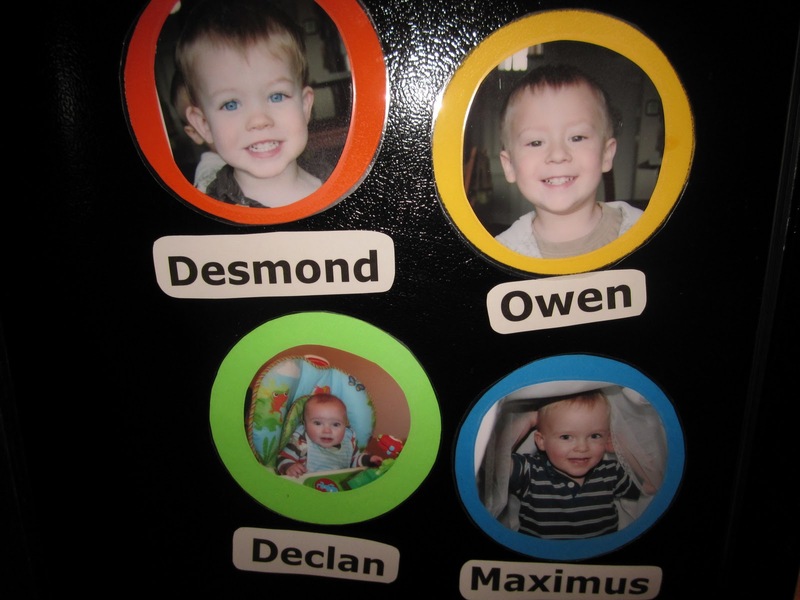 We have a white board in our playroom and they all love magnets so I added them to the back of each photo and name. I'm excited to see how they will enjoy this! I finally found it! Wasn't sure if I was in the right place at first, but I get it now! 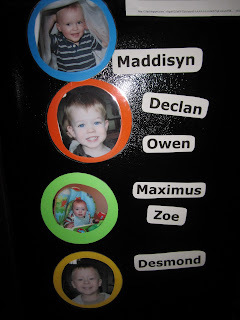 Pretty cool little site, I think that the parents of your little ones are lucky to have a daycare provider who truely cares about learning and meeting your kids individualized needs! You are passionate about the hard work that you do and this blog proves your dedication to each little person that you care for each and every day!